Organic Moinear Cais cheese, approx. 8 oz. 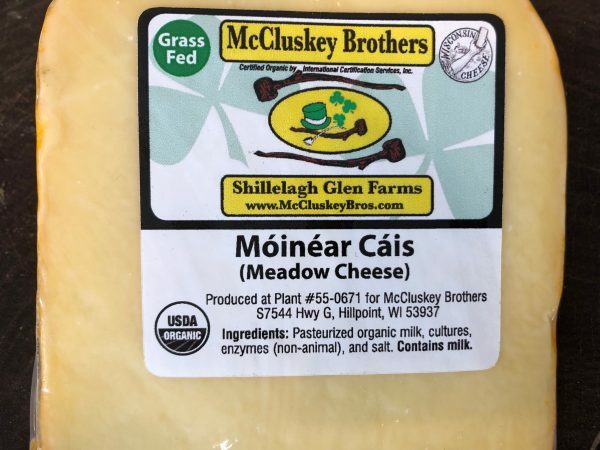 Moinear Cais, Gaelic for “Meadow Cheese” is a very limited, outstanding cheese produced by our friends at Shillelagh Glen Farms. 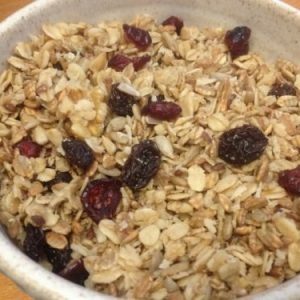 This 100% pastured organic cheese reminds us of Manchego – firm, nutty, rich flavor – you simply can’t stop eating this cheese. 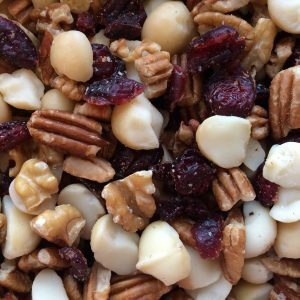 The flavor reflects the care and time taken to produce this lovely product. How exciting to find such a delicious cheese so close to home. Not to be missed! 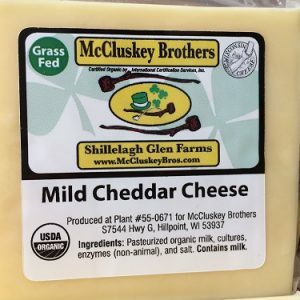 Shillelagh Glen Farms cheese is made seasonally from May – November when “the girls” are grazing on their beautiful organic farm located in the rolling hills of southern Wisconsin. 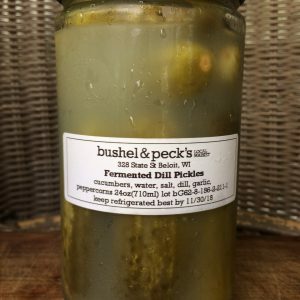 Broad Branch Farm > Products > Pantry Essentials > Moinear Cais – NEW!